If you are looking for somewhere cheap to camp/caravan with your dog/s, horse, etc we stayed at Jugiong Show ground a week ago and it was great for camping, lovely and grassy with some nice big shade trees, toilet block, barbecue and kids playground a short walk away. No free showers but it is right next to the public swimming pool so if you were desperate you could pay for a swim and have a shower while you were there :p It's also essentially free, they only ask a gold coin donation towards the upkeep of the grounds. No booking is needed but I imagine it wouldn't be avilable during events so maybe worth googling incase there is a country show, etc on. I didnt go through the whole posts so it may have been mentioned but an update to Countrywide cottages in Bambra Vic ( listed under Vic at the start) they do now have fully fenced HUGE yards. The yards can be accessed from the decks if you dog is fine going up and down stairs or ther is also a gate at the fron if your dogs cant do stairs. Fantastic location and VERY dog friendly. I've just stayed at one of these houses down at Rye. There are 10 properties, all allow dogs. I stayed at Ocean Blue. Lovely property. Had a fenced dog safe area. Dogs are allowed inside too. Not too far to the leash free beach at Blairgowrie. Just a great house (big enough for 2 large families) in a quiet scenic spot. Here's a picture of Molly out the back of the house with zero fear of heights! That Mt Victoria place looks amazing - did it have a fenced yard? And were dogs allowed inside? Recently renovated - open plan, comfy, huge back deck, good sized fenced back yard - easy to get to shops and to Northern Road and the M$. Would be very handy for Erskine park. Owner was very pleasant and helpful. New Berrima - Southern Highlands NSW - lovely place - big back yard - close to SH Kennel and Obedience Club grounds - recently renovated to a high spec - big back deck - and even a pizza oven outside! Fenced yard (not jumper proof though). Torrumbarry (Vic) - on the the Murray River about 30 km west of Echuca - Sunset Cottage. Beautiful cottage, with its own small fenced yard, built on owners' 5 acre property - virtual river frontage. Lovely owners - house dogs are fenced - can walk through the property to the river, or go round the road. And for Adelaide ... there are several dog-friendly in Glenelg - very handy - walking distance to beach. We stayed in Ocean Mist - older style - but comfortable. Yard is very small, but with the nice walks near by, it was big enough. Midway Motel, Kaniva, Vic. Stayed there on the way to and on the way back from the Adelaide Royal. For $15 extra was able to have Warrior in the room in his crate. Lovely cooked breakfast available and was $78 for a single per night. Basic but very clean and comfortable. Plenty of towels and hot water. It's a 3 bedroom pet friendly house within walking distance from the beach, where dogs are allowed in the house (just not on the furniture or beds). The backyard is fenced, but some of the fences are very low (waist height), the downstairs floors are all lino so easy to sweep up any sand tracked in from the beach, and there was a bottle of champagne in the fridge on arrival. We'll be going back for sure, it was just perfect. We stayed in a cabin near Bega with our 2 dogs. They are lovely cabins and very dog friendly even with their on fenced area around the cabin. Hosts were lovely. It is VERY rural though and a 15 -20 minute drive to Bega. Worth going if you wont a quiet getaway with your dogs (or horses). Looking to take off camping for a weekend in Vic but have no idea where to start. We were looking somewhere nice and lakeside where dogs are welcome, perhaps the Murray… Not fussed how far we need to drive, we’re off for an adventure! Looks like lots of dog friendly places but none where there’s any area for dogs to have an off-lead swim. Don’t mind heading off the beaten track either, any suggestions for spots or am I barking up the wrong tree? My favourites have been Bright, Lakes Entrance and Mildura but we go outside of school holidays and often in the cooler months. We were looking somewhere nice and lakeside where dogs are welcome, perhaps the Murray… Not fussed how far we need to drive, we're off for an adventure! Looks like lots of dog friendly places but none where there's any area for dogs to have an off-lead swim. Don't mind heading off the beaten track either, any suggestions for spots or am I barking up the wrong tree? Have stayed at Morning Glory River Resort overnight. It was great and right on the Murray. Would have liked to stay longer. It is on NSW side of the river. We just did a trip from Canberra to Brisbane and back. Three out of the four places I would recommend. We travelled with our two Aussie Shepherds, the four year old is well behaved but the puppy (5 months) is a bit of a ratbag so we took a crate for him but the older dog was able to be free in all accommodation. Warners Bay, Newcastle - Tantarra B&B. Dogs allowed in rooms. The two other couples staying also had dogs and we were able to have them at the (delicious) breakfast table of a morning :) We stayed in the smallest room which was very cozy but had a small courtyard which came in handy while showering etc. Armidale - Deer Park Motor Inn. Basic motel accommodation but clean and pleasant. Room quite big for a motel room. Dogs allowed in rooms. Dog friendly rooms all up the end with a patch of grass for ablutions. Gilgandra - Gilgandra Caravan Park. We stayed in one of the pet friendly cabins. The grounds were very spacious. Cabin was clean and had all mod cons, dogs allowed inside. Hosts are very friendly towards humans and dogs. Berrigan Motel in Berrigan, NSW near Finley, Jerilderie and Cobram allows pets in the room for an additional $10. Pet must have own bedding and can't be left unattended. There are lovely gardens to explore and an adjacent golf course that allows pets provided all mess is cleaned up. Perfect overnight stop on the Melbourne - Sydney or Melbourne - QLD trip. Lovely quiet motel. 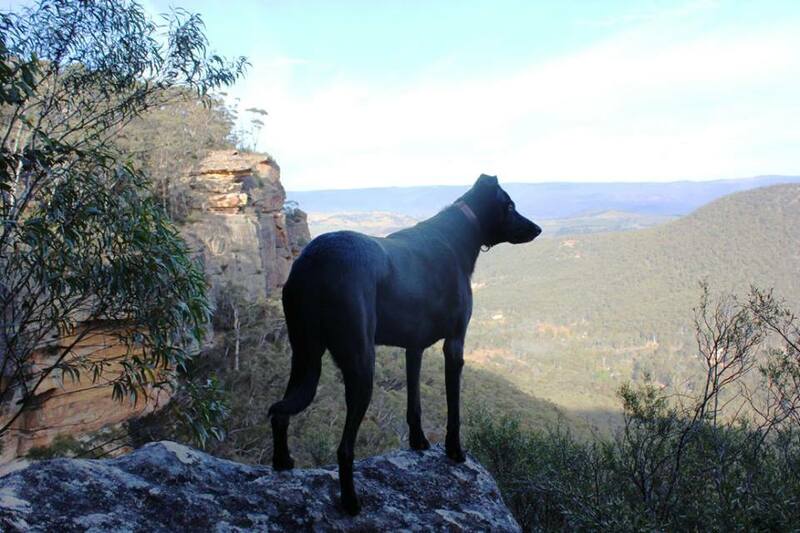 Can anyone recommend a pet friendly accommodation in Bowral, NSW? i've poured through every page and am going through stayz website but thought to ask and we can add that to the NSW list. This one's not Bowral itself, but about 10 minutesminutes away. Blue Cottage in New Bettina was lovely when I stayed there last year. Dogs inside, but not in bedrooms .. renovated to a high spec, great undercover deck area at the back, and lovely fenced back yard for dogs to play. The other thing I do is to google each stayz property I am i terested in. Occassionally they pop up listed on other list sites and say pet friendly when it doesn't mention on stayz. Very research heavy though!